In the Ghost Town of Golden, ghosts still guard the gate to Grants Pass, Oregon. Golden, Oregon is Josephine County's Ghost Town that refuses to die. The Ghost Town of Golden is on the National Register of Historic Places. Gold was first discovered in Coyote Creek in the 1840's and the area was known as Goldsville. The Ghost Town of Golden, Oregon lies three miles east of the historic Wolf Creek. William Ruble is known as the founder of the town of Golden, Oregon. The Ghost Town of Golden at one time even had its' own post office from 1896 through 1920. The church was originally built in 1892 by Campbellites and later it became the Free Methodist Church. The wooden headstones and crosses next to the church are not actual graves. They are really movie props that were left after an episode of "Gunsmoke" was filmed here. The town of The Ghost Town of Golden still has a general store, originally called "The Bennett Store", and a carriage house. The post office was located in "The Bennett Store." The church is open and welcomes visitors. Standing inside gives one the feeling that you are not alone. A moment of silence is customary in respect to so many who have passed before. The Ghost Town of Golden, Oregon had two churches but no saloon! Unusual for those days. Thirsty miners had to walk or ride horseback to places far away, such as Placer on Grave Creek. To get from the Ghost Town of Golden to Placer today takes 25 minutes by car! Placer mining with wooden sluice boxes were the means of mining in Golden up until the 1870's. When the miners were lured to the Idaho gold rush, the Chinese miners moved in and worked the area. When the other fields played out, the white miners returned and took back the claims. The 1880's saw the use of hydraulic mining, and the entire area was blasted with high pressure mining techniques that devastated the land. Now the ghosts in the Ghost Town of Golden, Oregon can look out upon the beautiful restoration project that has created the Coyote Creek Wetlands and once again returned the countryside to its' former beauty. Rest in peace oh brave souls who without your adventurous hearts we of today would not enjoy this land of beauty. We salute you Golden, Oregon. More hikes and adventures in beautiful and wild Southern Oregon are yours by ordering "Hiking Sasquatch Country." This book gives you directions, GPS coordinates, and a full photo log to fun in Southern Oregon. You can purchase it at Amazon.com or any major bookstore. Pick up the phone and let me welcome you home! If you need a Realtor® to help you buy or sell a home in Grants Pass, Josephine County or Jackson County, let me Google one for you. See Grants Pass Homes For Sale. 365 Things To Do in "Your Town"
Could be my favortie post of the day Gary. I love history and who wouldn't like a tour of a ghost town? You did a great job of making it come to life. Thanks! Great post Gary. If I am ever up in your neck of the woods, I would love to tour your ghost town. Thanks for your comments Randy and Diane. If you're ever in the area, make sure to stop in Golden and Wolf Creek, there is a lot of history there. I live fairly near Golden and love visiting. Do you know anything about the abandoned houses half a mile east of the town? They've been sitting empty for a while and were just recently abandoned. At least one of them might have been a small lodge, but has been lived in more recently than the other one. There are numerous outbuildings on the property that have all been broken into and vandalized also. I'm just sick about the vandalism and am hoping that the State of Oregon has bought, or will buy this property also and preserve it as part of historic Golden. Any information you have would be much appreciated. Although your ideas make great sense, I doubt that the State will ever find the interest, or the funds for any further preservation of historic sites. I am sure the county will not. Vandalism of these old buildings is a shame, but unfortunately, unless someone buys the property, and preserves them, they seem destined to go the way of the bison. @Gary - when I was out there this summer they were actively preserving the town. Oregon State workers were cleaning up the old general store building to make into an intererative center. Thank you for the comments, it's nice to know. I just spent yesterday afternoon in a meeting with the gentleman that used to own Golden, and we talk about it quite often. He did mention yesterday, that at one time, the state had plans to bulldoze all of the ponds and plant trees out there instead, but they convinced them to leave it in the state it is in now, as wetlands; which I think is very nice. Gary, I loved your piece on ghosts and this fabulous Ghost Town in our very own state! You have been *FEATURED* IN TODAY'S TUESDAY TRAVELOGUE! Good afternoon Gary. This is such a terrific and enlightening post. Thank you. 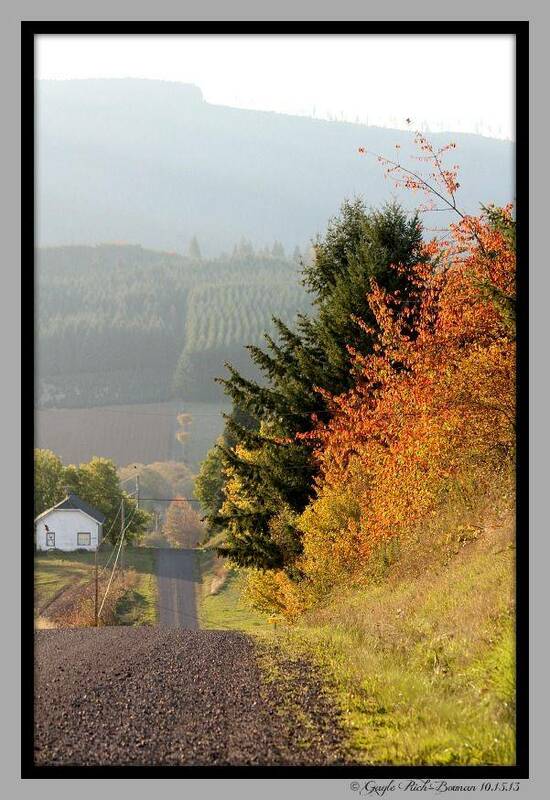 Find OR real estate agents and Grants Pass real estate on ActiveRain.